Well-founded information is indispensable as a basis for decisions in all industries and economic sectors. The automatic extraction of information is indispensable for more and more industries and economic sectors in order to find the right one out of the multitude of available information. 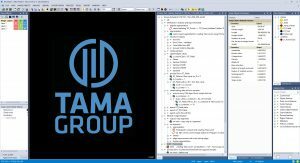 The Tama Group continues to refine its methods of automating information extraction, combining machine learning, deep learning and expert knowledge. So we always tailor the extraction of information from images exactly to the needs of the users. We can work with all types of geo-sensors that generate image-like data. With our methods, the images of drones and mobile surveying equipment as well as satellite images or aerial photographs can be evaluated. The data can be two- or three-dimensional, the sensors can work in the optical domain, or they can use infrared signals and other spectra – we show you how you can use the information hidden in them. In essence, the Tama Group comprises three divisions: the Forest Portal, our Information Factories and eCognition, the software for extracting information from images. In our forest portal, www.tamaportal.com, we create a digital twin and provide you with clear and acute information about the managed forest area. Our monitoring service gives you access to inventory maps of your area and mapping of forest changes over a period of time. This gives you an overview of the current state of your forest and using the time series analysis you can detect aereas with signifiant modifications. We provide further service with our Monitoring Pro. Here we can create stress maps to show which areas of your forest suffer from stress and need a specific, timely control. Thus you can recognize stress signals, such as bark beatle attacks at an early stage in order to provide timely adequate targeted actions. Our information factories provide solutions to your specific problems. We build information factories exactly for your specific needs so that your questions can be answered. In doing so, we are able to find solutions for various economic sectors. In construction industry, you can find our information factoires just as much as in agriculture, they apply to observation of waters and coasts, just as much as in classical surveying and remote sensing or in cooperation with cities and utilities. eCognition is a tool we use for our information factories. 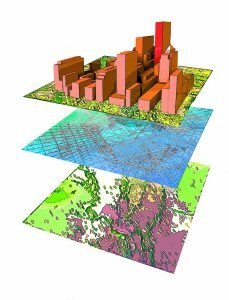 The Trimble software for extracting information from imagery offers many possibilities. Tama Group provides a tailor-made offer for eCognition 9.4 or eCognition Essentials, which includes a 4D maintenance package. At our Tama ePort you can find out on which level you master eCognition and access our webinars and training and coaching program in a precise and purposful manner.